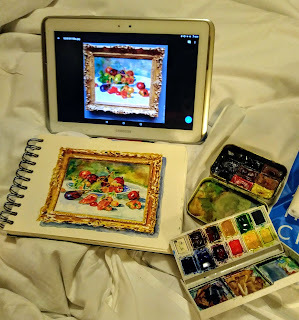 When I do studies of Old Masters I feel I am knocking through the time wall, feel the artist's mood and practically paint with him brush stroke by brush stroke. 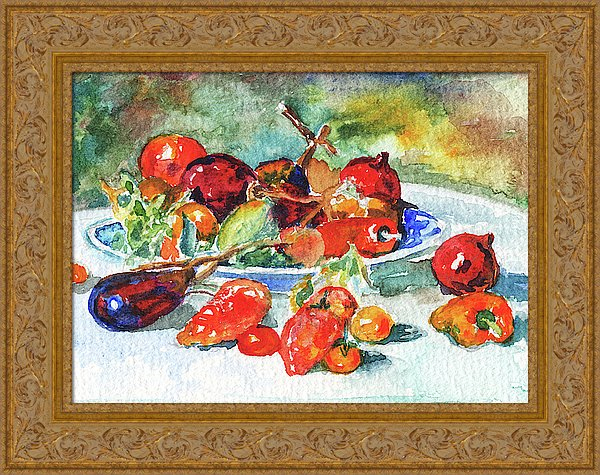 Pierre-Auguste Renoir probably painted this unpretentious still life of peppers, eggplants, tomatoes, pomegranates, citrons, lemons, and oranges while traveling along the Mediterranean coast (known as the Midi) on his way to Italy. 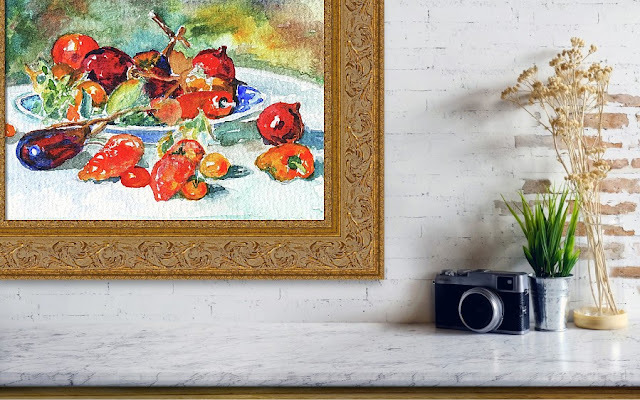 In this work, the artist stressed the three-dimensional physicality of the fruits and vegetables by emphasizing their contours and using long, diagonal brushstrokes. 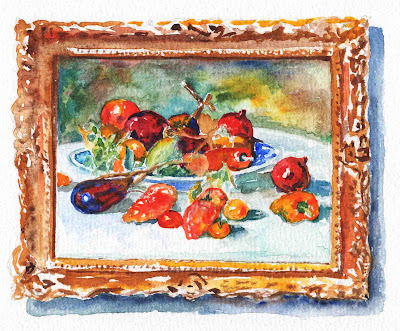 Fruit of the Midi represents a significant attempt on Renoir's part to bring a classical sense of pictorial structure and balance to the fleeting luminosity of Impressionism -- a goal that was pursued even more avidly by Paul Cezanne, with whom Renoir shared some fundamental aims.